Be sure to check the Updates page for the latest additions to the site. 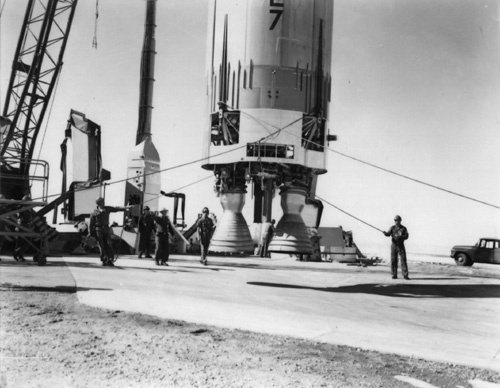 A massive effort involving numerous defense and civilian contractors-- over 2200 in all, and employing thousands of people, the WS-107A-2, or the Titan I Weapon System (also known as Titan 1), was the culmination of research and development going back to WWII. 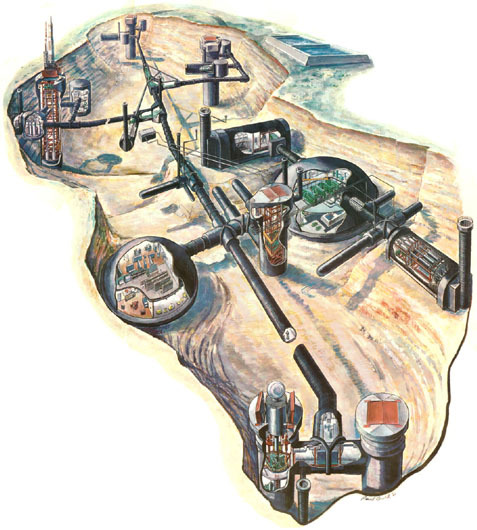 Practically an underground city, the Titan I missile complexes were built to support crew and operations to provide a retaliatory or even pre-emptive strike in the face of nuclear war. The Titans stood alert through the Cuban Missile Crisis, perhaps providing the deciding measure of deterrent to end the tense standoff and persuade the Russians to pull their missiles out of Cuba. Construction costs for each of the 18 operational Titan I sites in 5 states that were built was enormous. Compared to modern military spending, these costs might seem minor, but they were in 1960 dollars. Today, a comparable facility could cost somewhere in the hundreds of millions of dollars just to construct. Outfitting the complex with equipment and missiles would multiply expenses even further. Keeping all this in perspective is important because the Titan was developed simultaneously with another weapon system: the Atlas ICBM. The concept of Concurrency, or the simultaneous development of 2 different weapons systems was undertaken to foster competition between prime contractors and hopefully to allow for a backup should one program fail. Accordingly, these two weapon systems were developed and deployed on overlapping schedules. These two very expensive projects of enormous scope and scale were the result. 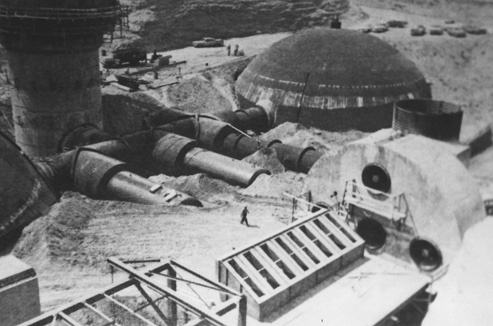 For the Titan I, construction of the 18 operational sites began in 1959 and was completed in 1962. By 1965 every single Titan I site and all the Atlas sites, were shut down and later scrapped out and abandoned for good. 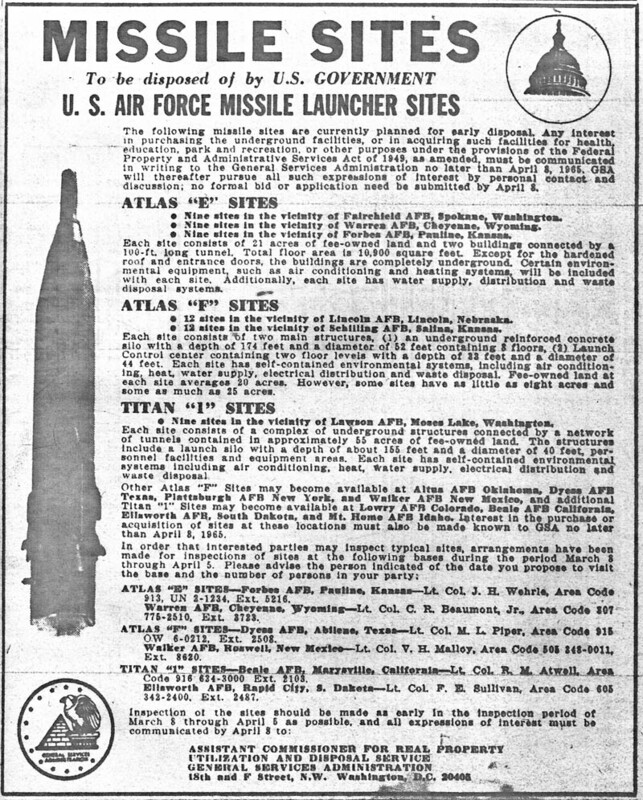 Of the eighteen Titan I sites, not one was operational for even 4 years. Now, over 40 years after the Air Force removed all their salvageable and classified equipment, and the salvage contractors stripped the Titans bare of steel, copper, hardware and any remaining useful equipment, the Titans quietly rust in the earth. Some of the sites were turned over to the original landowners; some sites remained government property until most were sold at auction along with abandoned Atlas sites and other surplus military property. Some owners tried to make use of the disused Titans, but over the years time and money either wore thin or they moved on. Untended, the water came in and started to rise, the scores of sump pumps silent or gone. 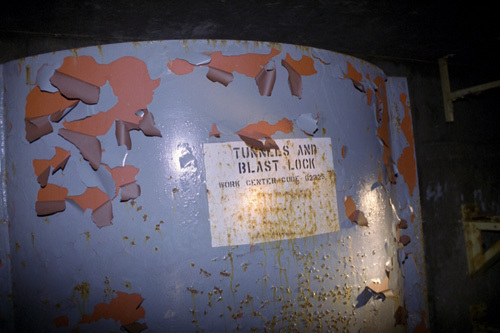 The lead paint peeled, the rust appeared and spread rapidly through the tunnels. Before long, the curious and the young found their way inside the musty tunnels despite the best efforts of parties concerned. Graffiti and vandalism spread to the most remote and seemingly inaccessible reaches of the complexes. Anything that could be smashed or broken was. Beer bottles and cigarette butts litter every tunnel and every room and footprints are visible in the residual dust from the omnipresent asbestos insulation and in the disturbingly-crimson muck from rusting iron. And so the Titans are today-- rusting, flooding, being filled in with dirt and concrete. Such is their final disposition. This site is a memorial to these 'cathedrals' of the Cold War: as they were then, and as they are now. I have made every effort to ensure the accuracy of information on this site. The figures, data and all other information herein were obtained from the most reliable sources at my disposal. Those sources include historical documents published by the Air Force and prime contractors to the development and construction of the Titan I weapon system. 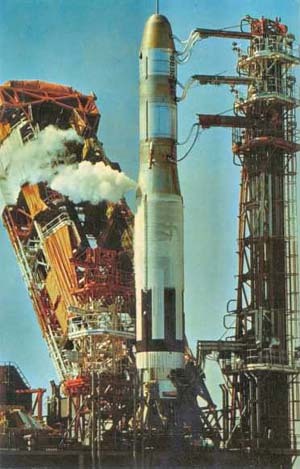 Other sources include blueprints, research and development documents and studies, retired missileers who worked with the system and authoritative publications on the Titan I weapon system as well as independent and on-going proof-reading by independent military historians and any visitor who can back up a claim adequately. I welcome any notice of error or inconsistency or other inaccuracy that readers may wish to point out. To that end, I hope this site will be as accurate as possible and will maintain a "NO BS" policy on the information it contains. 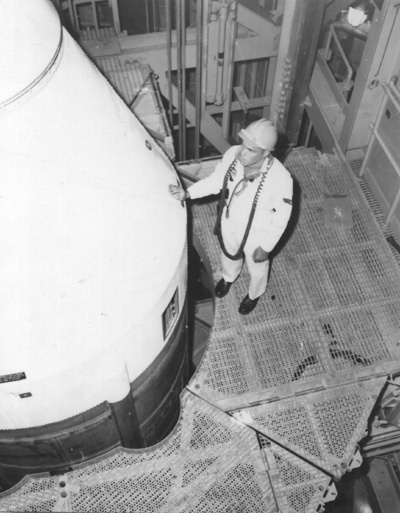 I am aware that this is hardly the first web site to feature pictures of a Titan I missile complex and furthermore to present them in a way which allows simple (hopefully) navigation of the complex in a graphical manner. 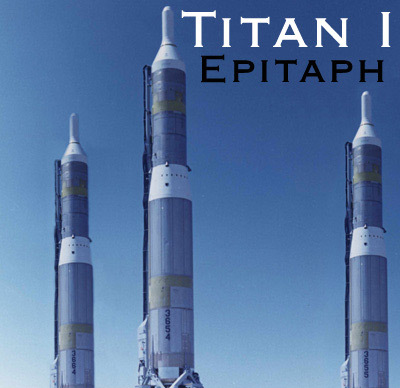 If you have not visited the following site: http://triggur.org/silo/silo.html and you have an interest in the Titan I, I recommend you investigate it. It is likely the first such site to appear back in the Web's infancy. If you are like myself however, you will find the aforementioned site serves to whet your appetite for the Titan I. Owing in large part perhaps to it's age, the pictures are few and far between and fact-checking was not emphasized. Image quality was also poor and details were hard to discern. This is not intended to be critical of the above web site but instead to explain why I set out to create this site. I wanted to see more and in better detail and also to understand what exactly I was seeing in any given picture. I have tried hard to address this on my site. I hope it will prove interesting and informative. Many of the images you'll see on this site are actually larger than they appear. That is, they are displayed smaller than they truly are for the benefit of user-friendly display without scrolling. I wanted to have good pictures without too much distortion or pixelation. The pictures here for the most part are the property of the author and are provided without limitation (as if I could stop you! Ha!) as to their use but please do not personalize them and tout them as your own. I am referring to the present-day pictures here. The historical pictures come from various sources and are used with permission when possible. Others are from the public domain and no permission was sought regarding their use as no sources were given. Forgive my lame attempts at humor. If you find my humor extremely unfunny I apologize but please bear in mind much of this was written in the wee hours when fatigue can well distort the limits of what is funny as interpreted by the author. If you take special exception with anything I say and think it should be censured, you'd better have a good and convincing argument. If you do have a valid complaint point, I will try to rectify the offending citation to our mutual satisfaction. I welcome any questions you may have regarding the Titans. I will try to answer questions if I am able or to possibly refer you along to someone else who may be able to help. My experience with the Titans has been ongoing since 1994 when I first laid eyes on one. Since then I have researched them extensively both in an effort to document them as well are preserve their history. This preservation chiefly involves scanning old documents. I was a groundskeeper of sorts to the site featured in these web pages and I discovered a large number of technical documents inside the site. I have been working to scan these documents in an effort to preserve them and also to build a small branch library of information on the Titans before the sources disappear, are destroyed or sold at online auctions. 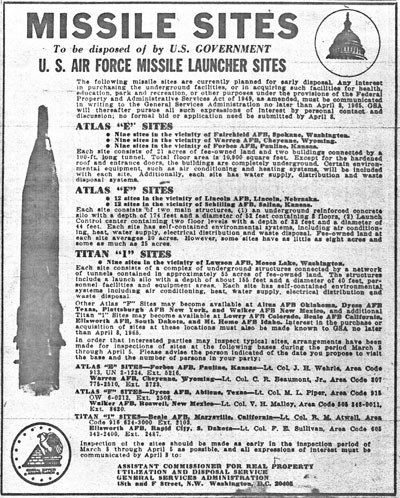 The AAFM http://www.afmissileers.org/ for the use of pictures and for information about the Titan I weapon system and it's history. The missile_talk group on Yahoo.com at http://groups.yahoo.com/group/missile_talk/ for the help of it's many active members and their help with the information provided on this site. To Mr. F. Epler for the use of photographs from his personal collection and many other resources he has graciously provided.